Clothes make the man, according to Mark Twain, but a charity that provides bespoke outfits for wounded servicemen has proved they can also transform lives by restoring their self-confidence and getting them back into work. Style For Soldiers was founded by the shirt-maker Emma Willis in 2007 when she decided that servicemen recovering at the Headley Court rehabilitation centre in Surrey might be given a boost with the gift of one of her £300 tailor-made garments. Eight years on, the charity has expanded to provide entire outfits, including Savile Row suits in the case of a lucky few, which have made amputees view themselves in a different light and given them the confidence to apply for jobs in civilian life when their Army careers come to an end. Now the work of the little-known charity has been recognised by the Chancellor, George Osborne, who has decided to give it £1.5 million from the Armed Forces Covenant Fund, set up with fines paid by banks that tried to manipulate lending rates. Matt Weston, who was a 20-year-old Sapper in the Royal Engineers when he lost both legs and his right hand to a landmine in Afghanistan, said he had assumed he would never again need a suit until he met Ms Willis. 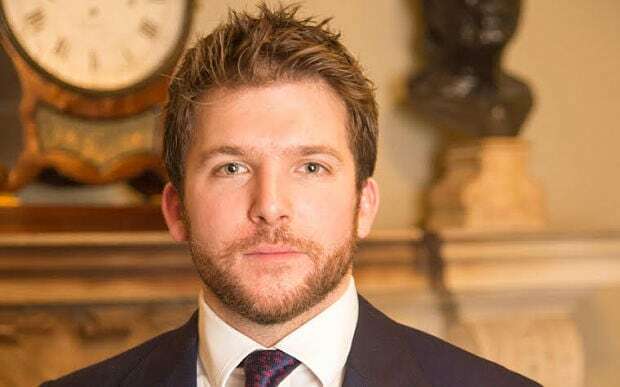 Mr Weston, 26, is one of the most badly-injured soldiers to survive an explosion in Afghanistan, having also suffered from a burst bladder, lacerated liver, burns, a bullet in the leg when the blast made his own gun fire, and internal wounds that meant the removal of a third of his intestines. 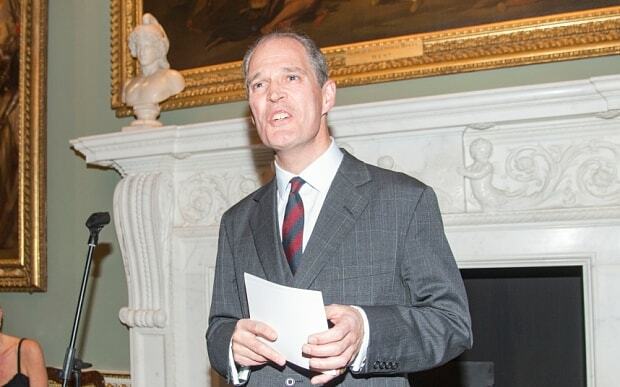 With Ms Willis’s encouragement and through her prodigious networking skills, he was interviewed by Barclays, wearing clothes Ms Willis had supplied, and now works for the bank in London’s Canary Wharf running a programme to recruit other veterans. He also got married three years ago and has moved to London from his former home in Norwich. He said: “It’s not just about the clothes making you feel good about yourself, there are practical aspects too. Amputees tend to overheat, they wear out trousers because they are always sitting down, they can’t do up buttons or cufflinks if they only have one arm and their prosthetics can make fabric bunch up. “Emma can help with all that by making or sourcing clothes that are not only a good fit, but are reinforced in the right places, have Velcro at the cuffs or top button, or extra lining to disguise the shape of a prosthetic. 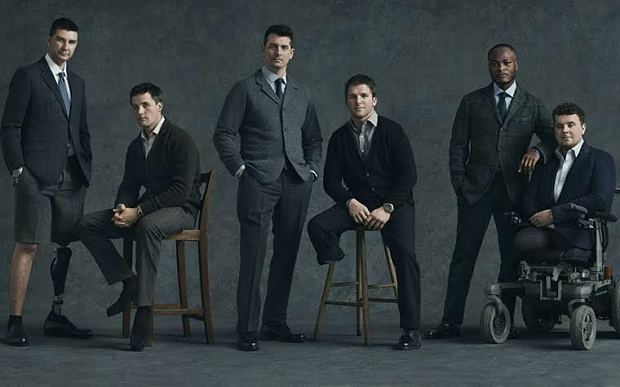 Mr Weston was one of six soldiers who were chosen to take part in a photo shoot organised by the website Mr Porter, wearing tailored clothes by Huntsman, Ralph Lauren and Emma Willis. 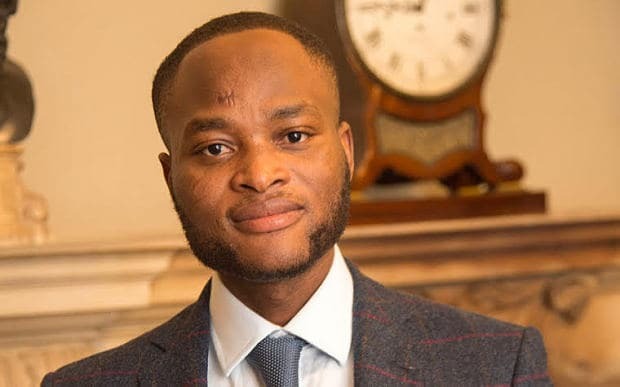 Henry Sakyi, 32, another former Royal Engineers Sapper who was also in the photo, said: “I can honestly say it changed my life by making me look at myself in a different way. I had lost half my bodyweight at one point and wouldn’t look at myself in the mirror for a long time, but putting on the clothes from Emma made me feel confident, made me feel there is life after everything I had gone through.” He now works as an administrator and recently bought his first house. Miss Willis, 52, said: “I started the charity because I wanted to do something for wounded soldiers and giving them shirts was the only thing I could do. I had no idea at the time of the impact it would have on them, I just thought it would be something nice for them to have. “But when I was measuring them I could see their faces light up when I got out the colour charts, collar choices and so on, and I realised that despite all the problems they were going through they were still taking pleasure in dressing themselves. “I didn’t foresee the way it gives them extra confidence, but now I get messages from people all the time saying they wore one of my shirts for an interview and they got the job, or they wore one to propose to their girlfriend and she said yes. Earlier this year Marks & Spencer became a major supporter of the charity by giving £400 vouchers to former soldiers to spend on menswear. The M&S model David Gandy has also become an ambassador for the charity. Ms Willis said the £1.5m from the Chancellor would enable her to expand to supplying bespoke shoes to veterans whose feet are different sizes because of their injuries, and who normally have to buy two pairs of shoes and throw one of each size away. Major General Sir George Norton, the charity’s military patron and an Afghanistan veteran, said: “The focus of Emma’s work has always been on the self-esteem of the soldier. She sees men who are young, physical and proud, and used to wearing smart uniform, but who have been broken one way or another in the field. Having suffered severe injuries to his feet when his vehicle hit a mine in Afghanistan in 2012, Mr Croxford, from Portsmouth, lost his lower right leg last year as a result of a sailing accident while he was taking part in a rehabilitation initiative. He said: “When I was at Headley Court I heard there was a lady who gave away shirts and walking sticks, so I joined the queue. But the shirt is only the start. She spends so much time getting to know each soldier, keeping in touch with them, arranging opportunities and mentoring for them. It was because of encouragement for her that I have set up a powerboat racing team for ex-servicemen. As a member of 33 Engineer Regiment, whose call sign Brimstone 42 inspired the BBC series Bluestone 42, Mr Weston was part of one of the most prolific bomb-disposal teams in Afghanistan when he was blown up by an IED in Sangin in 2009. He lost both legs above the knee, his right hand and had extensive internal injuries that have required 46 operations. He now works for Barclays and married his childhood sweetheart, Bryony, in 2012. 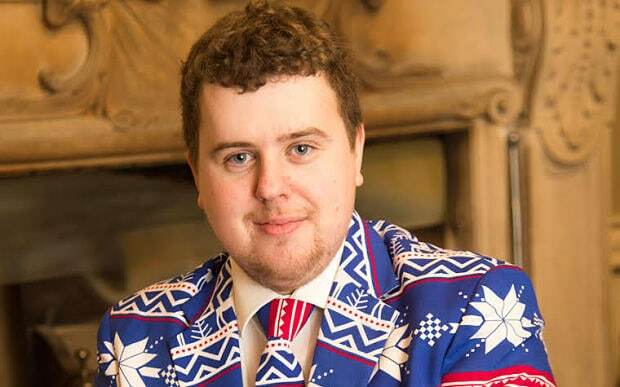 He has also become an ambassador for Style For Soldiers. Mr Sakyi, from Stoke-on-Trent, suffered from frostbite during a training exercise in Poland in 2011 that permanently damaged the nerves in his hands and feet, and later contracted throat cancer. He lost half his body weight during chemotherapy and went to Headley Court to learn how to walk and speak again. He said: “After I took part in a photo shoot for Style For Soldiers, I told Emma that I loved the clothes and the way they made me feel more than any money or anything else she could have given me.